*Prices do not include destination & handling charge. *MPG based on model year EPA mileage ratings. Use for comparison purposes only. Your actual mileage will vary, depending on how you drive and maintain your vehicle, driving conditions, battery pack age/condition (hybrid only) and other factors. For decades, drivers from all over Brooklyn, Queens, Bay Ridge, Staten Island, Manhattan, Bronx, Nassau County, and the surrounding New York areas have been visiting Acura of Brooklyn to find great deals on new Acura models, certified pre-owned, and used cars from many different automakers. Our factory trained service technicians will make sure your vehicle is in excellent shape and will assist with a range of maintenance requests. Acura of Brooklyn also has an extensive inventory of genuine manufacturer parts available. Feel free to schedule a service appointment now. Why Buy at Acura of Brooklyn? Enjoy a stress-free Acura shopping experience with a team of friendly salespeople who can’t wait to share their knowledge with you! We always carry the most popular models, including the comfortable ILX, TLX, the sporty NSX, the luxuriously roomy RDX and MDX. We also have a variety of offers, as well as a great referral program. 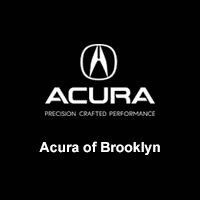 Head to Acura of Brooklyn, in the heart of NY to learn more!